Dr. Tae Sung John Ku is a licensed dentist serving patients throughout the West End, Washington, DC area. 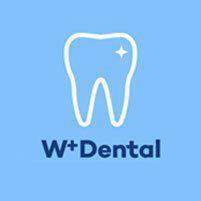 The doctor and his staff at W Plus Dental offer dental cleanings and other preventative care options to their patients. How Often Should a Person Visit Their Dentist for Optimal Dental Health? Most dental professionals recommend visiting a dentist at least once a year to maintain proper dental health. For conditions that require closer monitoring, bi-annual visits may be needed. Visiting dental checkups twice a year allows the dentist an opportunity to fully examine the teeth and soft tissues. If any abnormalities are noticed, they can be immediately addressed before they begin to cause structural damage to the teeth or soft tissues. At the time of the dental exam, the doctor will perform a thorough cleaning and offer recommendations on brushing, flossing, or other home care options. If fillings or other dental work is needed, the doctor may request that the patient makes an additional appointment or perform same day treatment. Why are Regular Dental Checkups Important? Regular dental checkups are used to maintain optimal dental health. Visiting the dentist on an annual or bi-annual basis makes it possible for them to identify changes in the mouth that could lead to damage to the soft tissues and the teeth. Regular checkups allow the doctor to monitor the health of the mouth and recommend changes in lifestyle that can have a detrimental effect on a person's mouth. Preventative treatment options are used to help protect against tooth loss. With small children, annual dental visits are educational. The dentist and hygienist often work with the children of their practice to teach proper brushing, flossing, and oral care habits. When Should a Child Visit the Dentist for the First Time? A child's first dental appointment should be scheduled near their first birthday. At this time, most children already have several teeth and the dentist can begin to identify any potential problems when it comes to their development. Parents are instructed on how to prevent damage to the teeth, while the dentist and hygienists work with the child to build a positive rapport and establishes a relationship based on trust. Children who are brought to the dentist at an early age are less likely to be afraid of dentists as they get older. It is also much easier to establish healthy brushing and flossing patterns in young children.